Over the last six months, we helped a small plumbing business with its online marketing, specifically with its search engine optimization (SEO). And below is what we have been able to achieve: we increased the site’s traffic from 200 to 15,000 visitors per month, mostly from our SEO strategy. How did we do this? The first step for a successful online presence is to the right small business website. If your website doesn’t look great or if it doesn’t have the features needed for its industry, then your online strategy won’t be successful. For this particular client, its website had many problems. First, the site was not mobile responsive. Second, it lacked call to action buttons and quality content. The first thing we had to do for them was to redesign and redevelop the website so that it was mobile responsive. After, we developed a content strategy and centered our calls to action around that. 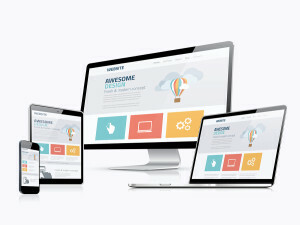 If you do not know whether your website is mobile responsive, then contact us to provide you a free audit. The next step that we took for this client was performing small business SEO by performing a comprehensive keyword research using few paid tools like MOZ and SEMRush. We do not use or recommend using Google Ads’ keyword planner for SEO campaigns because it provides data more from a paid search than an organic search point of view. Our keyword research usually includes the data on each keyword including the monthly search volume, competition for organic listing, competitive domain level analysis on currently ranked sites and its SEO analysis. Based on the above research we finalized 15 keywords for the client that were more likely to rank higher quickly. While doing so, we helped increase the client’s customer base by getting new leads once keywords ranked at the top of the search engines. Once keywords were finalized, we then analyzed the client’s website and different pages to see which page would be a good match for each keyword. 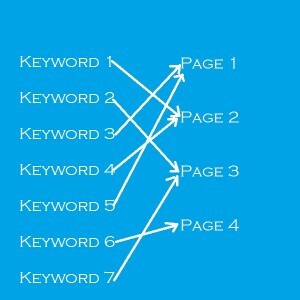 We usually recommend matching 2-3 keywords per page and the most important keyword to be focused on the home page. 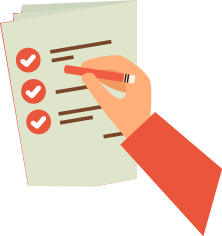 If we found that a specific keyword does not match to any page on the site then we built a new page, wrote quality content weaved around the keyword and published it on the site. Optimizing titles of every page. Optimizing descriptions of every page. Addition of alt tags to every image/picture. Adding H1, h2, and h3 tags to content pages. Developed and submitted sitemap to Google. Developed and optimized robots.txt file. Once we complete on-page SEO, we then start our off-page SEO efforts, also called link-building. Links are still playing a major role in ranking higher even after all the social media networks and the discussions around it. 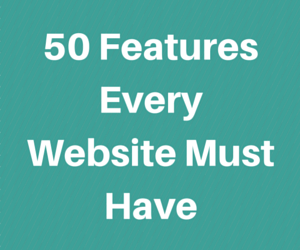 The more high quality links you have pointing to your site the higher the site will rank. Since this is a location-based business it was important that the client had a Google My Business page and that it was well optimized. As the first step of the campaign, we set up and optimized the Google My Business page of the client in such a way that it was search engine friendly. We then submitted the client’s business name, address and phone number on all local directories. Currently, there are 65 such local directories where we submitted the client’s business. We then started the link building campaign which included monthly press releases, articles, guest blogs and on-site blog posts to increase internal linking. We continued the above process every month by developing new content and submitting it to new sites resulting into more backlinks which led to an increase in traffic for the client’s website. Are you are ready to get more traffic and new customers for your business? We are in Falls Church, Virginia, part of the Washington area! And as a Virginia, Maryland, and Washington, DC-based SEO company, we help clients all over the Mid Atlantic region. 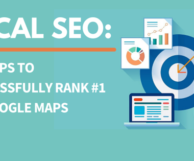 In addition to what we mentioned above, you can review these 14 steps to follow for plumbing SEO.